Authentic and best Austrian Vanillekipferl Recipe – fully translated into English and adapted to US measuring. Just 7 ingredients and super easy to make. Next week is Christmas Eve. I can’t and won’t believe that December did pass so fast again. Today we cover recipe No. 7 and just one more left until we end our Christmas baking journey. Bummer! I love Christmas baking. If you ask me, I wouldn’t have any problems with Christmas cookies for more than just one tiny little month a year. Lot’s of chocolate, gingerbread, eggnog, and cookies. This is how Christmas should be celebrated. All the recipes are easy and come with a video (except the eggnog). It’s all depending on the nuts. 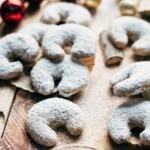 To get the softest and buttery Vanillekipferl, I highly recommend using ground walnuts. There are different versions of Vanillakipferl with different nuts in it. You will find hazelnuts as well as almonds. Almonds are by far the most popular. 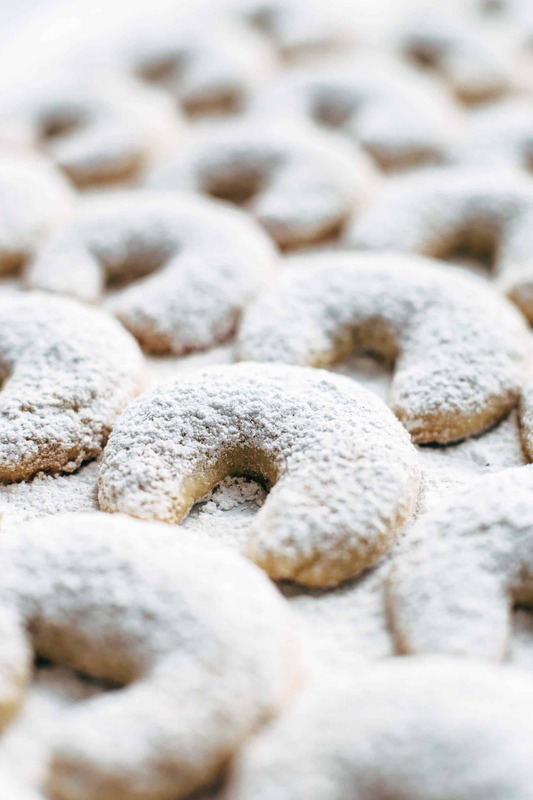 Although the taste of the almonds is delicious, they also make the Vanillekipferl dryer because almonds have less fat compared to other nuts like walnuts for example. So using walnuts as the nuts of your choice, your Vanillekipferl will be super soft and literally melt in your mouth. Like nutty, sweet vanilla butter. Keep it easy is the device. Christmas is a very joyful time a year but also a stressful one. What? Christmas Eve is in 11 days? We don’t have any presents so far… what a surprise every year, isn’t it? 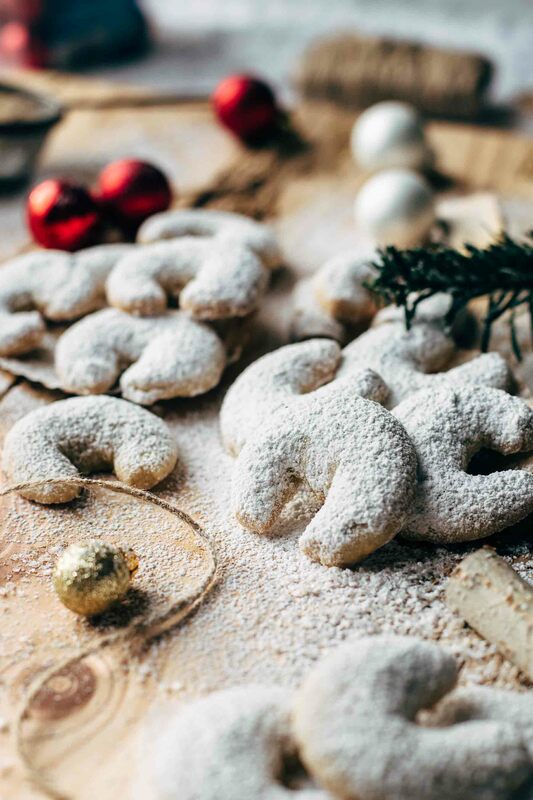 To make sure that you don’t panic because of Christmas baking, you should choose the best but easy Christmas baking recipes. This recipe is pretty straightforward. Mix all ingredients together in a bowl, chill, roll, cut, roll, form, bake. Done. Roll the dough on a well-floured surface into a rope. Then cut into walnut sized pieces. Roll pieces with your fingers into little ropes with a little bit thinner edges and a thicker middle part. Do this also on a well-floured surface and quickly. Place on two parchment paper lined baking sheets with about 1-2 inch space in between beause they spread a bit. When the Vanillekipferl are cooled, sift vanilla sugar on top of both sides. Vanilla sugar is easy to make. Just scrape out a vanilla bean and stir vanilla seeds into sifted powdered sugar until well combined. 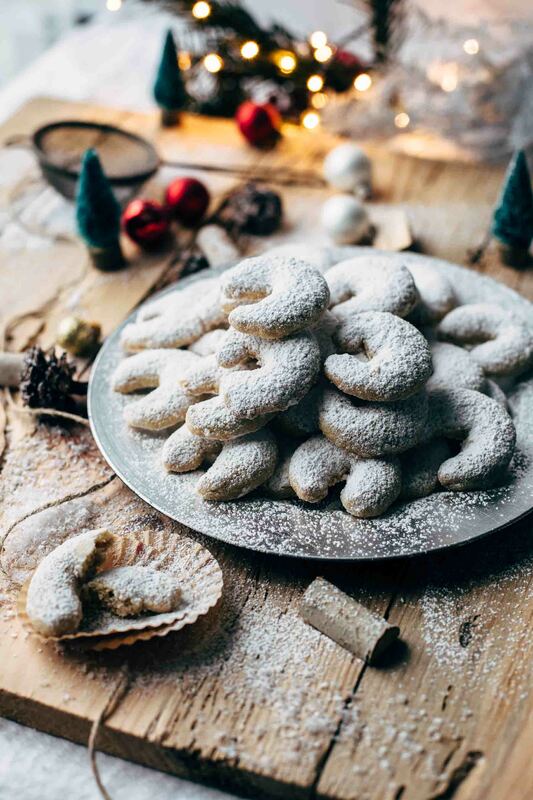 If you make this authentic and best ever Austrian Vanillekipferl recipe, leave a comment, rate it and tag a photo #alsothecrumbsplease on Instagram! Would love to see your snap! 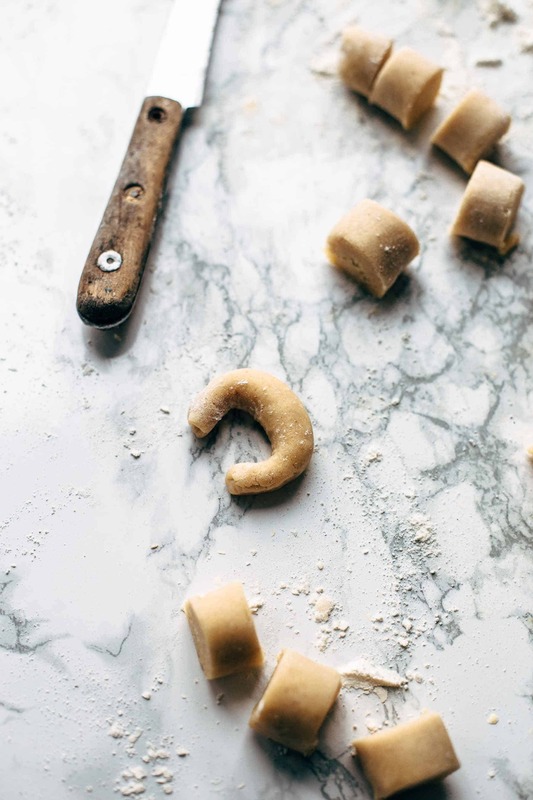 In a big bowl, combine egg yolks, ground walnuts, sugar, flour, butter, and 2 vanilla beans* and mix with a handheld or stand mixer fitted with a whisk or paddle attachment on medium-low speed until the dough comes together. Knead a few times with your hand. Form to a hot dog shape and wrap in plastic. Chill in the fridge for about 1 hour or overnight. Preheat oven to 325°F / 160°C and line one or two baking sheets with parchment paper. Set aside. Cut dough in half lengthwise and put one half back in the fridge until you are done with the first batch. Roll dough on a well-floured surface into a rope and cut into walnut-sized pieces. 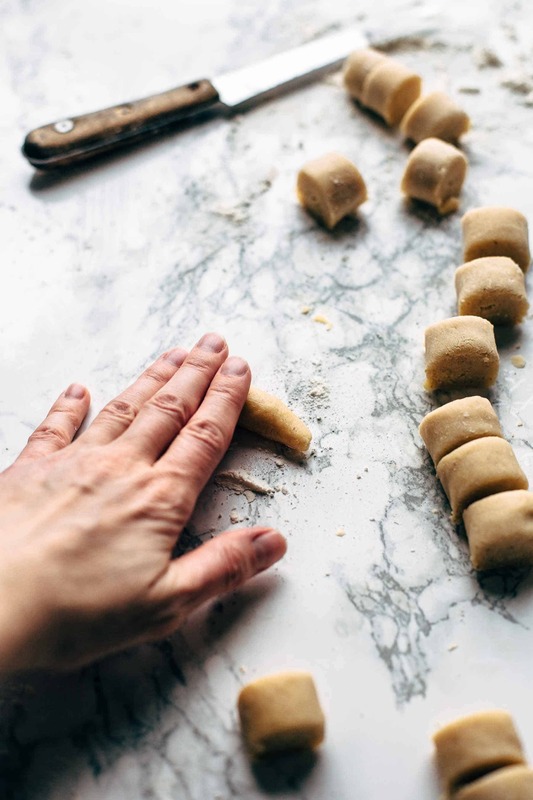 Roll pieces quickly with your fingers on a well-floured surface into small ropes with a bit thinner edges and a bit thicker middle part and form to crescents. Place on prepared baking sheet and bake for 13-15 minutes until they look pale, puffed, and dry. Let cool on baking sheet for about 5 minutes, then transfer to a wire rack. Repeat with second half of dough. 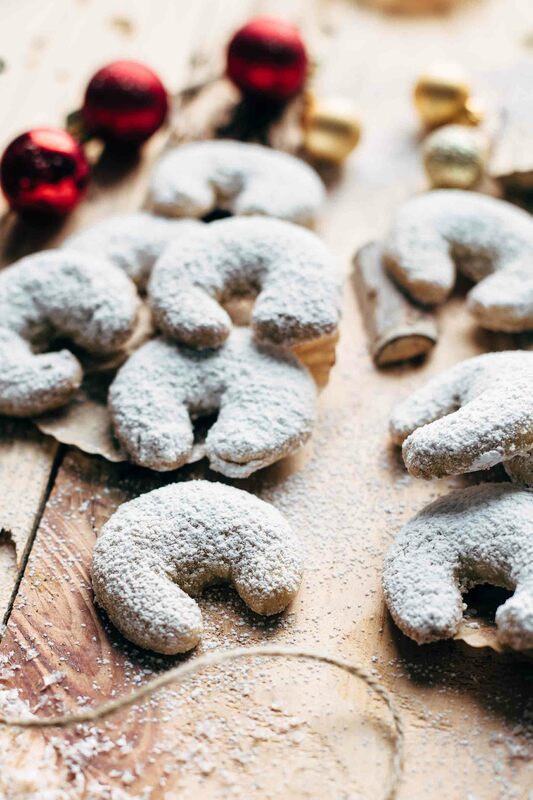 Mix sifted powdered sugar and 1 vanilla bean* in a small bowl until well combined. Sift vanilla sugar on top of both sides of the Vanillekipferl. Store leftovers in an airtight container at room temperature up to 1 week.